YES, you can still travel to Cuba in 2019 legally. Americans have been impatient for the day when travel to Cuba is possible. If you have a US passport YES you can travel to Cuba! In this article, we’re going to go over all those details and different ways to plan your trip to Cuba. The wait is finally over, sort of…. Traveling to Cuba was getting easier and easier but Trump has made several changes for those wanting to travel to Cuba. Don’t worry you can still travel to Cuba but a few things have changed. 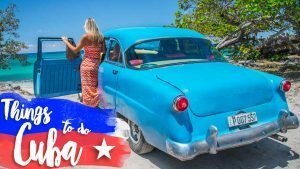 Ever since we returned from our trip to Cuba we’ve been flooded with Cuba travel questions from all the Americans traveling to Cuba or who want to travel to Cuba in the future. Is it legal for Americans to travel to Cuba? Americans traveling to Cuba in 2019 will need to obtain a Cuban tourist card, which is similar to a travel visa. Unfortunately, Americans cannot travel to Cuba for just tourism. All Americans traveling to Cuba have to fall within the 12 authorized travel categories per the state department. Certain export transactions that may be considered for authorization under existing regulations and guidelines. During our trip to Cuba (we flew to Cancun, Mexico and then to Cuba), no one asked us what authorized category we were traveling under. If it would have come up, we would have cited, journalistic activity and presented a business card. We personally know at least five people who have traveled to Cuba from Mexico (specifically Cancun airport) who were never asked any questions pertaining to authorized travel when obtaining their Cuban tourist card/Cuban visa. We got our Cuba Tourist Card at the airport in Cancun when we were checking into our flight for $20. If you are flying to Cuba from the USA your airline will help you obtain the Cuban Tourist Card. In reality, it’s the U.S. that has an issue with Americans traveling to Cuba. The Cuban government has no issue with it and they want American tourists in Cuba. 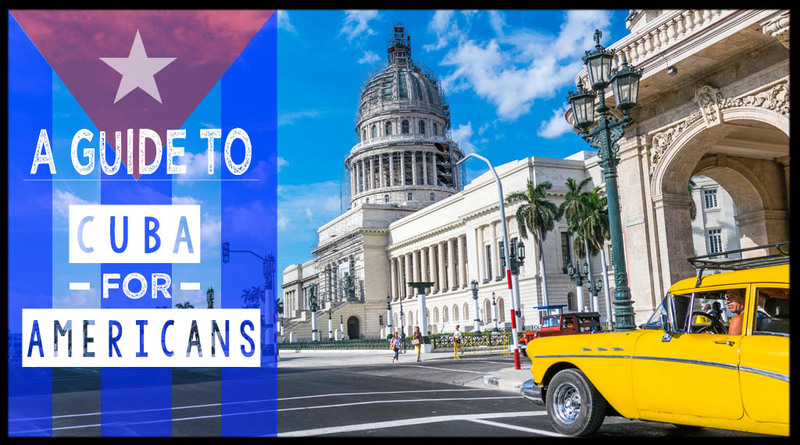 The easiest way to travel to Cuba legally: If you would like a professional company to assist with arranging your Cuba Visa click here to contact ViaHero. Special 5% discount for Getting Stamped readers. We cannot guarantee that you won’t be asked what category you fall under or what documents you will need to show, this was our experience. Nothing has officially changed yet. If you have a trip to Cuba planned you should watch the news to see what the actual changes will be. April 17’s announcement didn’t include details of what changes were going to be put in place and when they would be effective. As of now, nothing has changed. On April 18, 2019, the Trump administration announced new measures for travel and travel to Cuba. Basically, they want to limit the amount of money sent to Cuba from Cuba-Americans and put new rules in effect for non-family travel to Cuba. Can you travel to Cuba Independently? In January of 2015, President Obama expanded the categories of authorized travel to Cuba. It was great news for Americans traveling to Cuba, or all Americans who always wanted to travel to Cuba (like us!). This expansion allowed U.S. citizens to legally travel to Cuba if they fell in one of the 12 categories. In previous years, most travel to Cuba required applying for a license and jumping through a bunch of hoops, which was often confusing and quite frustrating. Now Americans can “self-license” if they believe they fall within one of the authorized categories. Update 2018 Trump traveling to Cuba changes: Trump made a few changes for those wanting to independently travel to Cuba. In November 2017 President Trump made it so you cannot independently travel to Cuba under the People to People Educational category. You can still travel to Cuba independently under the other 11 categories above. Travel under any of the above other 11 categories including Support for the Cuban people category (the most common category). When booking flights, lodging, and during re-entry into the United States you will declare this category. Stay at casa particulares (homes of local Cubans, this is all we stayed in on our trip to Cuba), eat at local restaurants, and support local Cuban businesses. – We only ate at local restaurants and stayed with locals families and wouldn’t do it any other way. Avoid staying at any of the hotels currently banned by the US State Department and don’t spend money at military-owned business. For the complete list of hotels to avoid click here. Make sure to keep as many receipts as possible and have an itinerary of your time in Cuba accessible for the next 5 years. You might need to be able to prove that your time in Cuba was legal and feel under approved categories. Click here to read frequently asked questions about the relaxed policy online by the Treasury Department – Updated November 7, 2018. Build your Cuba itinerary with local experts that can help plan a legal trip to Cuba with all your arrangements and activities, special 5% discount for Getting Stamped readers. You may notice when you use your favorite search engines like Orbitz, you cannot find flights from the US to Cuba or flights from Cancun to Cuba. *Skyscanner does work* Flights to Cuba typically need to be booked directly with the airline itself, we purchased our flight online with Interjet. Other airlines that service Cuba from Mexico: Copa, Aeromexico, Avianca, and Cubana. We traveled in April 2016 and purchased our flight from Cancun to Havana only 2 weeks in advance for $250, which included checked bags. For Americans traveling to Cuba, going from Mexico was super easy and the most affordable option. The best way to get the flights sorted out it to purchase a round-trip flight to Cancun or the cheapest Mexico destination you would be willing to go to, then book a round-trip flight to Havana, Cuba from that city on a separate ticket. When searching for flights please note Havana is listed as La Habana. Flights to Cuba from Canada are another great option for Americans traveling to Cuba. A quick flight search for a round-trip ticket from Toronto to Havana for 4 weeks and it was $308. Vancouver to Cuba was a little more at $695, round-trip. Within Cuba, there are two different currencies, the CUC, and the CUP. As a tourist, you will use only CUC the Cuban Convertible Peso which is equal to the U.S. Dollar. The CUP is the local Cuban Currency. 1 CUC = 24 CUP. It’s technically illegal for tourists to have, or use the local CUP currency. If you’re an American traveling to Cuba, don’t plan on using the ATM machine. Still, in 2019 any US-based bank, credit or debit cards don’t work in Cuba. You’ll have to estimate the amount of money needed for your entire trip. Exchanging money in Cuba should be simple, but it’s not. There is a 10% penalty for exchanging USD on top of the standard fees for money exchange in Cuba. The best and cheapest option is to withdraw money in Mexico or Canada at an ATM. You may need to notify your bank to increase the daily limit and alert them to the amount you are withdrawing and the country you are withdrawing in. We found the exchange rate at the time of our trip was best for Mexican Pesos. Another option is buying Euros/Canadian Dollars/Pesos in the USA and bringing them into Cuba with you. However, after the extra fees to buy them, and then the standard money exchange fees in Cuba, it might end up being essentially the same cost as the 10% USD penalty in Cuba. There are talks about eliminating the 10% penalty on exchanging USD in Cuba, but as of April 2016, it is still in effect. Cuba requires all travelers to have travel medical insurance. However, we were never asked at Cuban immigration if we had travel medical insurance, nor were any of our friends who traveled to Cuba in 2015 or 2016. The medical insurance you have in the USA will not cover you in Cuba. We always buy travel insurance with World Nomads that includes medical and personal property (theft/damage). Click here for travel insurance prices and coverages. For a one-week policy, it’s $51 per person. It’s best to purchase a policy just so you’re covered if asked to provide proof of insurance as well as being safe if anything happens to you while traveling in Cuba. As of May 1, 2015, Cuba no longer charges the $25 CUC exit fee. The fee is now collected by the airline as part of your ticket purchase price. YES there is Wifi in Cuba and the good news is that it’s getting cheaper! As of January 2019, there are 830 wifi spots in Cuba. For a complete list of wifi hotspots in Cuba click here. Stock up on wifi cards when possible, they often will only sell you up-to 3 prepaid cards. Bring your passport when purchasing ETECSA wifi cards, they will often require this. Make sure to log off otherwise you’ll waste your remaining minutes. To log off of the ETECSA wifi in Cuba type 1.1.1.1 into the search browser and then click ‘cerrar sesión. Purchase prepaid cards directly from the ETECSA offices when possible, other retailers often will markup the cards. On our trip in 2016, we expected to be offline the entire time we were in Cuba. But, we were pleasantly surprised! There are Wifi hotspots in all the best places in Cuba, and they are easily spottable. We discovered town plazas, squares, and parks often had a hotspot. In general, if you see tons of people on their phones or laptops, there’s a hotspot for sure. In Havana, several hotels had wifi right in the lobby. There were 4 wifi hotspots within a 2 block radius of our casa in Old Town Havana. For some more info on getting connected in Cuba, check out Two Scots Abroad post on the internet and wifi in Cuba. To access wifi in Cuba you need to purchase prepaid 1-hour wifi cards. Then, find a wifi zone and look for a network called WIFI-ETSCA. Finally, just log in, and enter the username & password. Once you’re finished, don’t forget to log out and save the remaining time for your next session. We purchased ETSCA cards for $2 an hour at the airport. If you see an ETSCA building anywhere in Cuba they will sell them for the same price. We purchased additional cards at a tourism office in Trinidad Cuba. The cards are also available at hotels, though they charge $6 an hour for non-guests. If you reach the end of your trip and have some wifi to burn, there is an ETSCA wifi hotspot at the airport to use up your remaining credit. Even though there is Wifi in Cuba we had issues with not every computer or app will work. For example, I had an iPhone 6 plus on our last visit and was unable to download anything from iTunes, use Snapchat, or Skype. My friend has an older Samsung and she was able to use Snapchat. Neither of us could get the internet to work on our MacBook Pro. It would connect to the wifi, but never actually go online. The same thing happened to another friend with a MacBook Pro. Just to be safe, bring an older, backup, device to connect to the Wifi in addition to your current phone. As more Americans begin to travel to Cuba, the changes will continue and traveling to Cuba will be easier and easier. We already can’t wait to visit Cuba again, 10 days wasn’t nearly enough time. There are so many things to do in Cuba we can’t wait to go back. Booking a hotel in Cuba is very limited, as there are only a few hotels listed on hotel booking websites. We found Booking.com had the most options here are the available Havana hotels. We never stayed in a hotel in Cuba we mainly stayed in Casa Particulares with local Cuban families. Most Casa Particulares you cannot book online, we booked our Casa on arrival in Trinidad Cuba, Vinales, Varadero Cuba, and Havana. There are tons of government-approved Casa Particulares just look for the symbol above their door, knock and the owner will walk you through the house. Most Casas in Cuba was $20-30 a night for a private room with air conditioning and private bath. Read our Havana accommodation guide. If you prefer to book a Casa Particulares in advance there are several on Airbnb. Booking in advance also has the advantage of accommodation being prepaid. We booked our first 2 nights in Havana in advance on Airbnb. Those Cuban families with family members living outside of Cuba manage these Airbnb bookings since there is no Wifi in Cuba homes. If you message them on Airbnb you’ll communicate with a family member outside of Cuba, they then call up their family members in Cuba to tell them about your upcoming Airbnb stay. Airbnb first-timers, if you sign up through my referral link you get $40 credit when you book your first trip! –>> sign up here! Are you an American who’s traveled to Cuba, do you have any tips for Americans traveling to Cuba? Loved the information! Very concise and helpful. The tip about flying from Mexico to Havana was the best! Thank you. You have lots of great info for Americans leaving and returning from America. I am an American – but – I live in Russia. And have lived here since 1999. This will be my first trip to Cuba, although I have lived and/or worked in 23 other countries. This trip is a vacation. What information can you give me concerning my trip??? Hi Mike – If you are still traveling on an American passport, most of the information here would apply. Not sure if there are flights to Cuba from where you are living, but it would be a similar process as entering from Canada or Mexico. If you follow the normal visa process I would see any issue with you being able to visit. Happy planning! Hi, Im an american Citizen and im planning to go to Cuba in April to visit a friend, I was told i can travel with no problem through Toronto. Is that possible? Traveling through Canada or Mexico is much less restrictive. You still need to follow the visa rules for the Cuban Government, which are generally pretty easy and can be done at the airport. I will be on a cruise in May 2019 which stops in Havanna for one day/night. I would like to sign up for a few Airbnb experiences, specifically a walking tour with a photojournalist. Are Americans able to move around Havanna without a cruise ship approved excursion? The best place to check is with the cruise line. They and the port authorities will determine what you can do on land in Cuba. I don’t see why it wouldn’t be possible to take part in these experiences, but they may have their own rules or ways they apply their vias regulations. Hello! I’m going to Cuba but going straight from Ft. Lauderdale and then flying back into Ft. Lauderdale. Do you know what the stamp situation would be here? Should I ask not to get a stamp since I’m not flying back to the US from another country like Canada or Mexico? Not sure if coming back to the US directly from Cuba would raise any alarms/questions. Any insight or advice would be greatly appreciated! If you are worried you can ask them not to stamp you and they generally won’t. However, if you are flying from the US they already know and they are alright with it. I live in Seattle and have a friend in Vancouver in Canada. he went to Cuba few times and insist me to travel to Cuba. its ok if I travel from Vancouver airport in Canada to Cuba. Will i get stamped at Cuban airport. When we flew to Cuba they did not stamp or passports, we had to ask them to and insist that they stamp them. Since our website is called Getting Stamped we are all about those passport stamps. We wanted the Cuba stamp in our passport. They even asked “Are you sure” and we said yes. We love our hot pink Cuba stamp in our passports. If you don’t want it stamped they won’t stamp it. Hello – my parents are U.S. citizens and are flying to Havana via Cancun. Will there be issues with them returning to the U.S. (again, via Mexico)? What paperwork would they need? My mom is feeling a little paranoid. Thanks! Unless you tell the US they will have no idea that you went to Cuba, they don’t even stamp your passport unless you ask them to. The Cuba visa will be handled in Mexico and on our last visit it was a non-event. We are thinking about traveling to Cuba with our 5-year old daughter via Orlando. She’s a good traveler and we want to expose her to international travel. What are your thoughts on traveling with children to Cuba? I don’t see any issue bringing a child to Cuba. Overall we felt very safe and there’s lots to see and do that children would find interesting. Safe Travels! Hi Hannah, I plan on traveling to Cuba in late August and plan on putting down that I’m going to help the Cuban people, any idea on what I can do in Cuba to satisfy this category? Also do you know if any tobacco fields where I can go and roll my own cigar?! Thank you! Head to Vinales which has the best tobacco fields in Cuba and you can roll your own cigar there. Typically there are companies that help organize that category. Have you reached out to https://www.viahero.com/travel-to-cuba?discount=GETTINGSTAMPED they can help and with that link you get 5% off..
My fiancé is traveling to Cuban in September, I’m a US Citizen and would like to go with him does anyone know if I would be allowed? Americans can travel to Cuba, where would you be flying into Cuba from? I will be traveling to Havana, Cuba via cruise in September. The ship offers excursions that comply with People to People regulation. If I do not book these excursions am I, an American allowed to travel freely? I’m a bit confused and do not want to lose out on sightseeing because I did not book an excursion through the cruise line. I would suggest reaching out to the cruise company directly because they may have their own ship rules that are different than Cuba rules. I can’t imagine they would bring you to Havana and not let you off the ship! I personally would recommend hiring a private driver in one of the old cars to drive you around. You should be able to negotiate a rate, I would think $20 an hour might be possible. Safe travels and enjoy Cuba. I have a question about using your phone while in Cuba. I have a Cricket and they charge $15 per month for 15 minutes of calls in Cuba. Is there a phone service that sounds more reasonable just for international travel ? I my phone allows wifi calling, should I skip the extra expense ? I’ve never traveled outside the US as an adult and Cuba was always on my list for many years. We used our cell phones in Cuba when buying the prepaid wireless cards and going to internet spots in Cuba. I am not sure you will actually have cell phone service in Cuba with your Cricket Wireless SIM card. The wifi in Cuba won’t be super strong so I wouldn’t necessarily rely on making wifi calls. We were able to make Skype audio calls (no video) without too much of an issue but you will have to buy the wifi cards in Cuba and go to a local internet spot in that village. Cuba is amazing and you will love it! I lived in Cuba for 5 months as a student during the fall of 2018. I am wanting to return In December of 2018 to volunteer with an anthropologist that I met when I was there and see my host family again, but it looks like obtaining a humanitarian visa can be extremely difficult and time consuming. Do you know anything about traveling through Mexico? Thanks! We traveled to Cuba from Cancun, Mexico and we didn’t get asked any questions about our visit. They filled out the paperwork for us while checking into our flight. No issues at all. Hope you get back to Cuba soon! Safe travels. Good post, but there’s one pretty big piece of information missing. The first section: “HOW TO GET A CUBA VISA/CUBAN VISAS/ETC” doesn’t actually tell you how to get one. All it says is that you need one. What’s the process for getting one? Is it visa on arrival? Do you need to contact a consulate? We just updated the article after researching the current prices each airline is charging to assist in getting your Cuba Tourist Card. Let us know if you have any other Cuba questions. Safe travels. So I went in February 2018 out of Tampa on Southwest it was so easy! SW provided a link for the visa and travel insurance was included. We stayed at a Casa and are going back end of May for another 5 days. What an amazing place to visit. I was very nervous the 1st time but ready to really enjoy myself this trip! Thanks for the info, glad you had a great time – I wish we were heading back soon! That’s great! How was the process? Did they check your bags? Yes we did check our bags when traveling to Cuba from Cancun. We had no issues whatsoever. My future wife and I are really thinking about travelling to Cuba for our Honeymoon and would like to do a similar itinerary; Havana to Varadero with pit-stops in between. We wanted to travel from Miami, but I don’t trust the Trump administration and risk cancellation of any flights that I book now . So we will be travelling through Cancun. Do we obtain the Cuba travel card while in Mexico? Never mind. I see that you got your visa in Cancun. That’s what we did, we got our Cuba Visa in Cancun right at the airport. We booked all separate flights too. I’d also suggest just using the ATM there and get pesos to exchange in Cuba you’ll get a better exchange deal than if you exchange USD in Cuba. I wouldn’t risk flying out of the USA to Cuba right now you never know what will happen. Where do you get a Cuban VIsa in the US? Or do you do that until you get to the airport? We got our Cuba visa right at the airport in Cancun, which is mentioned above in the airport. We didn’t fly from a US city we fly from Cancun direct to Havana. Safe travels to Cuba. Does payment for an Airbnb work in Cuba like it does in the US? Just want to be sure we don’t need to bring extra cash for that. Every time I have used Airbnb (which is a lot) I have always paid in full online so no need to bring cash. There aren’t really many places around Playa Jibacoa so it’s best to have a car and stay in a casa nearby. Def spend the entire day there but you could easily go back to Havana for the night. We just returned from Cuba, The flight each way from Orlando was easy, no questions asked about our travels. It was just like any other flight proceedure in the U.S.. We were told to arrive at the airport three hours early. We were checked in and sat at the gate for over two hours.. Our flight had about 30 people on it. Be watchful in Cuba for scammers ripping off tourist by giving them the wrong change after making a purchase in a resturant or any other place that does bussiness. Count your money after getting it converted to CUC. I was shorted $26 in exchane at the airport. The Cuban people are friendly and we felt prefectly safe everwhere we went. We will be in Cuba next week and still haven’t quite figured out the money situation. Are you saying you brought American Dollars and exchanged at the airport? I was thinking we’d exchange all our money there, based on what we estimate needing. Barbara, you can exchange US dollars at the Havana airport, but there will be a 10% fee charged on top of normal conversion fees. Just plan on that 10% being lost if you use USD. I must say, all the good information summed up at one place. I must appreciate the author for featuring all the essential elements for traveling to Cuba. This post is an answer for many of the questions of tourists. Thank you for the information. We just arrived from La Habana to Cancun and will fly out to San Fransisco tomorrow, Cancun to Mexico City, then to San Fransisco. What ?’s were you asked at the US airport upon your return? My wife and I are both teachers so we think we fall under the “education activities” catagory. When we flew back into the USA from Cancun no one asked us anything at all. We even asked to have our passports stamped with the hot pink Cuba stamp and we had no issues. We also brought back the legal limit of Cuban cigars, no issues. Let us know if you have any other Cuba questions. Make sure to bring enough cash! I’m all Booked for August. A quick 4 night Havana trip. Booked a room in a Casa on Air BNB. Quite excited to check it out and take in the Local culture. There are great options on Airbnb and then your accommodation is already paid for. Have an amazing time and safe travels. Hi! Hannah, love your blog 🙂 ..Just wanna ask – Is it safe in Cuba? Which places should be avoided? Great to hear that! Adam and I felt super safe in Cuba and found the locals super friendly. I would say just like any city at night just be safe and aware of your surroundings. When we go out drinking we don’t bring valuables with us and just enough cash for the evening. Let us know if you have any other Cuba questions and make sure to go to Trinidad Cuba it was our favorite! Safe travel to Cuba. We rented our car right at the airport without reservation but we DO NOT suggest trying this. We were VERY lucky to actually get a car. It is best to rent a car online MONTHS in advance. There aren’t a ton of cars available and they go fast. Yes rooms don’t book in advance. We had our taxi bring us to old Havana and we found an area with bunch of Casas with rooms for rent so we just got out there and checked them out. If you want maybe have your first nights reserved via Airbnb but after that I wouldn’t reserve much in advance. We rented a car and went anywhere we wanted. We felt super safe in Cuba. I wouldn’t spend the whole time in Havana. Def go to Trinidad for at least 2 nights it was our favorite city in Cuba. You can take the bus there. We flew from Mexico to Cuba and got our visa at the airport so we can’t advice on your flights. Leaving Cuba wasn’t hard at all for us it was really straight forward but yet again we were flying back to Mexico. Let us know if you have any other questions. Safe travels. @Gregory Broms My wife and I went in January for 6 days and we stayed in Central Havana which is not touristy like Old Havana is. However, Central Havana may not be for everyone because the neighborhoods are run down and ghetto-looking (sorry for the being politically correct). but that’s part of the charm. Despite that, we felt safe as no one bothered us and they seemed indifferent about our presence. Definitely go to Trinidad but leave early in the morning by car (rental or taxi) because it’s faster. No problems leaving Cuba but I do regret not getting my passport stamped 🙁 Like here in the US, get to the airport 2-3 hours ahead because service is slow especially since they tend to scrutinize Cubans that are leaving. Thanks for the additional information! Great to hear you had an epic trip to Cuba like we did. I am quite curious to know why American government had imposed all those restrictions on its citizens on visiting Cuba. NO wonder with such restrictions, I have heard or read very little about Cuba as a tourist destination. I loved the pictures of all the colorful and vintage cars you have posted. I would mind going to Cuba just to take a ride in one o the vintage cars. Any idea if similar restrictions are imposed by other countries? It’s great to hear that it’s, at present, both easier and indeed possible for Americans to travel to Cuba now. How times have changed! Let’s hope it will continue…I’m from the UK, and it has been seen as a quite accessible destination for us in recent years, although we still need Visas, tourist cards and the like, of course. Have you made it to Cuba yet? It’s amazing and we are glad Americans will be able to travel to Cuba! Nice guide! An american friend recently visited Cuba and I remember how many questions he had before going so I am sure many Americans will find this useful! I hope your friend had an amazing time. We too had tons of questions before we traveled to Cuba, hoping our guide helps those searching for info. Thank you for the great article! I’d like to know if when you booked through Air B&B, did you use your personal account or did you have a foreign friend (non-US citizen) book for you? In planning our booking, we are being asked about the purpose of the trip. How did you manage this part? Glad we could help. We booked our Airbnb right on Airbnb with our credit card. If you are booking on Airbnb here is $35 off http://www.airbnb.com/c/hlukaszewicz Where are you flying through? Who are you booking with? We went through Cancun and didn’t get asked anything, the airline actually filled out our visa paperwork for us. So I can’t really speak on traveling from the USA. We were going to say journalist had we been asked. Let us know any other questions. Safe travels. Thank you for the quick response Hannah. We are doing exactly as you did, but I was a bit concerned when Air BnB asked for our home address because we’re going to Cuba. This is the message: “Since you’re headed to Cuba, we need to collect a few extra details before…” I am just curious to know if the gov’t follows up with the traveler now that they have our home address. Hi, were you required to purchased a pink tourist card? Because I was reading that Americans are required to get the pink tourist card instead of the green one. I called delta and they told me the color doesn’t matter, also the Cuban embassy doesn’t give you any information regarding an specific color. What was the color of your tourist card? The only thing we had to do in Cancun was pay to get our visa while we were literally checking into our flight. We handed over our passports and they filled out the paperwork, and then we gave them the money. When we got to Cuba we got the pink stamp in our passports. Where are you flying from? Our trip originated in Cancun, Mexico and was a return flight back to Cancun. Brilliant articles! After researching a fair bit on Cuba, you’ve nailed it. Thanks guys, love your work. I use several Google products (ie gmail, docs, Google Analytics and Google AdWords) – while I plan on not working, it would be good to know if anything urgent came up that I could access these apps in Cuba. Do you use any of these and if so was there any problems? Please sign me up for weekly dose of Travel Goodies. Just did, you should get a confirmation email. Safe travels. Do you need to purchase a visa before leaving the US, or is that something you can do when arriving in Cuba? I have found a lot of material online that is not up to date and am not sure. No, we didn’t purchase or have a visa prior to leaving the USA. As indicated in the article, we traveled to Cuba from Cancun Mexico. At the Cancun airport, we paid $20 and got our visa at the check-in line for our flight that day. We went to Cuba April 2016. Safe travels! My husband and I will be retiring soon and look forward to traveling more. Might have to add Cuba to the list. Thank you for a very informative look at this new destination. Congrats on the upcoming retirement! You def should add Cuba to your future travel list. Safe travels! Very helpful info, Hannah and Adam. We’re beginning to make plans to get there this year. It will be interesting to see just how much things have changed since your visit. Did you book accommodations in advance or just show up and find something? We booked our first night in Havana on Airbnb but all the other nights were on arrival. You guys are going to have a blast! Very helpful information about traveling to Cuba. Hopefully, it will become much easier for Americans to visit Cuba but maybe, many Americans don’t have information about what steps need to be taken. Its great that you weren’t asked why you were visiting Cuba. It’s becoming so much easier traveling to Cuba as an American, pretty soon even flights from the USA to Cuba! SO COOL! I WANT TO GO !! Do it sooner than later! Traveling to Cuba for Americans is way easier than it sounds! Good info, Can’t wait to hit Cuba next week! Some epic Adventures planned!